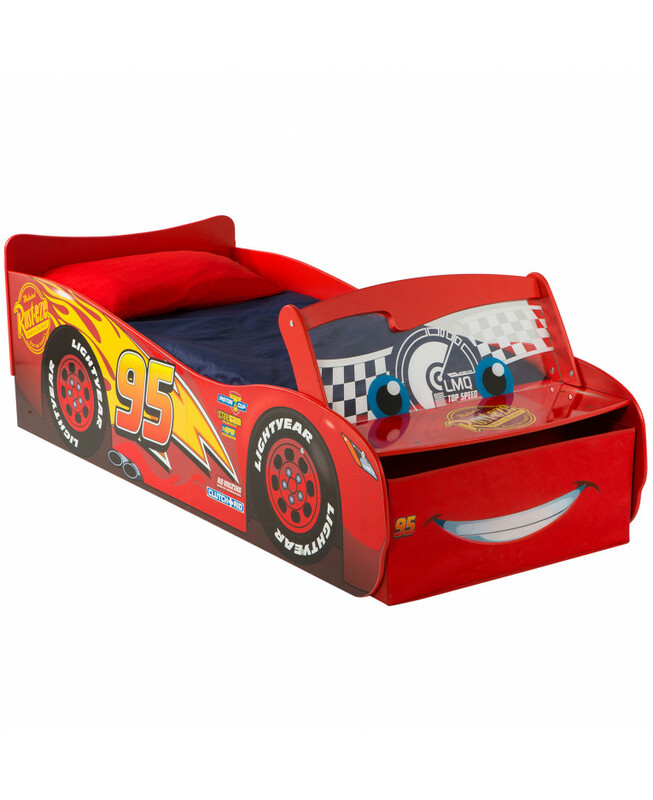 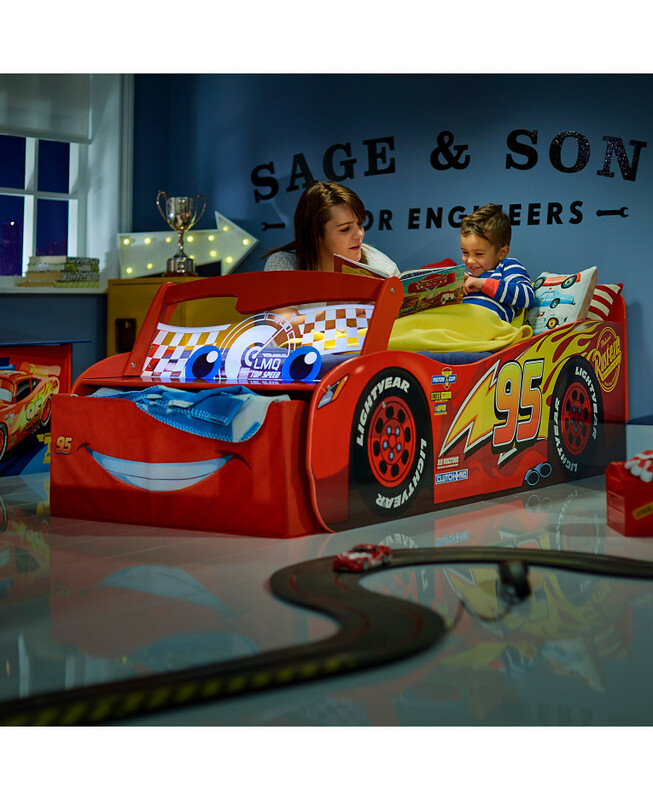 Your little Disney Cars fan will love bedtime now with this fantastic Lightning McQueen Toddler Bed. 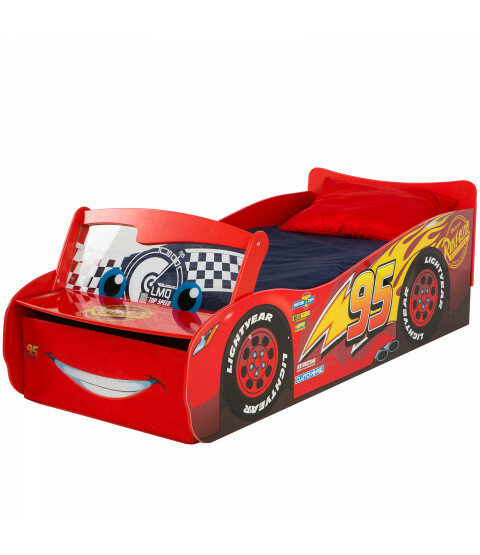 Made from sturdy MDF wood and boasting colourful Disney Cars graphics, this car bed for toddlers really is the No.1 when it comes to Disney bedtime products. 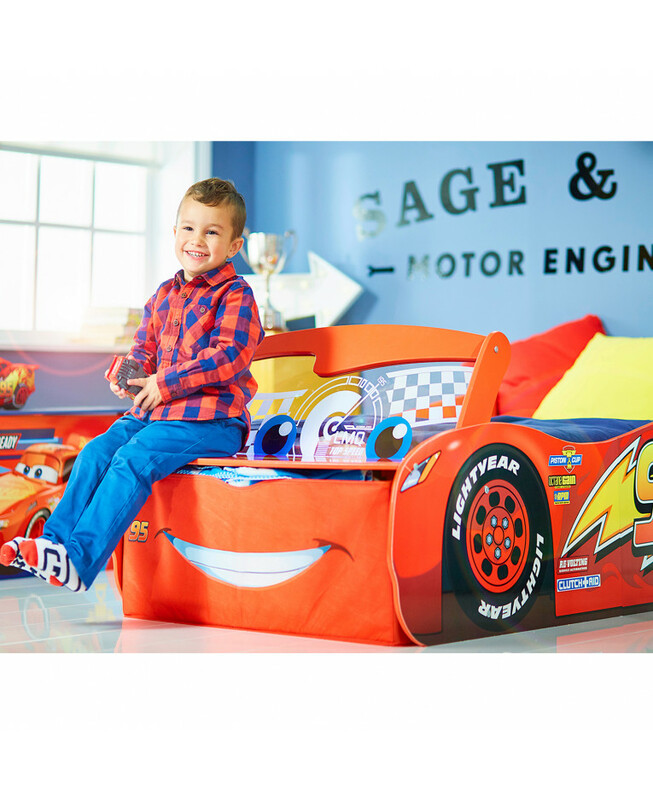 This fun and functional bed has a built in seat and pull out storage drawer for storing all your little racer's things and is designed to be low to the ground with protective side panels to prevent bedtime tumbles. Lightning McQueen also has a light up windscreen nightlight with 10 minute auto turn off, for extra reassurance for your little one at bedtimes. 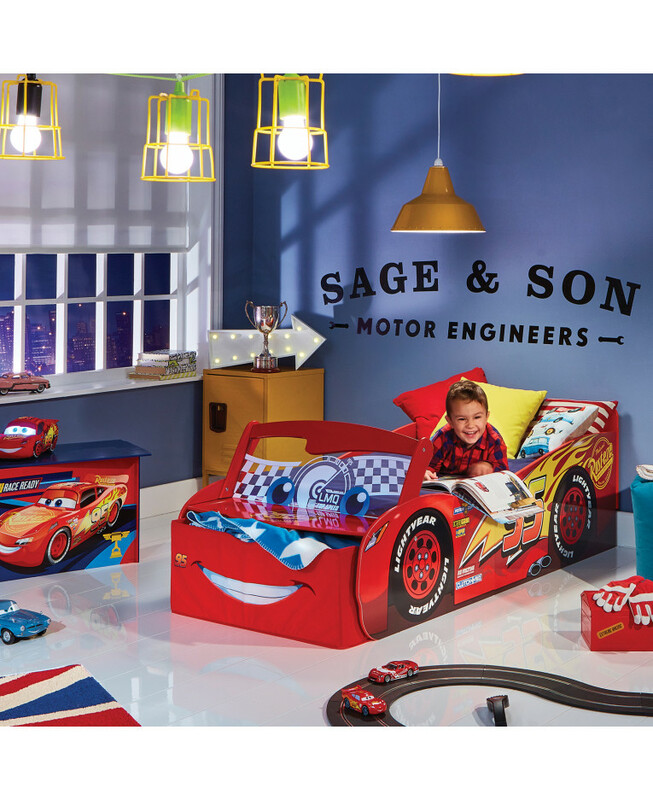 He’s red, he’s perfect for kids aged 18 months to 5 years and makes every bedtime pit stop an adventure. 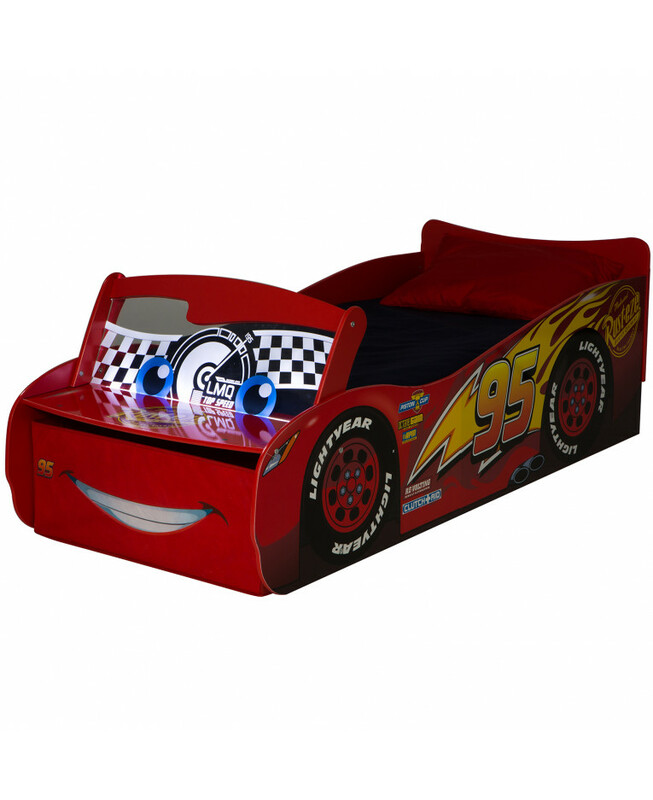 Every Cars fan can now race around as Lightning McQueen in their very own Disney Cars bedroom! 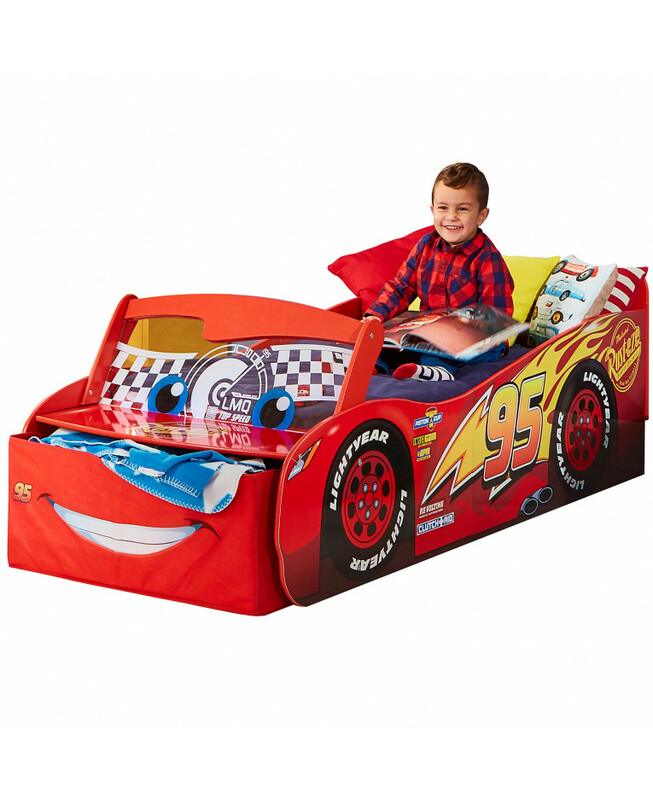 Pull-out under bed storage drawer lets you keep toys, clothes and games under Lightning McQueen’s bonnet.